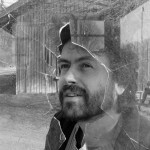 Prose writer, experimenter, poet, playwright, publishing editor. Winner of the Golden Pen of Ondřej Pavelka prize (2013) conferred by theatre professionals connected with the small drama theatre A-Studio Rubín. He was born on 10 December 1965. [Walking Through the Muzzle!] will certainly find many nostalgic readers who will enjoy leafing through it and letting themselves be transported to days of old, which are so authentically and attractively represented in the writing. I am sure that many of us could dreg out less interesting and valuable accounts of the past from our bookshelves. Michal Šanda has spared us this work and has created something wonderful from an onerous task. 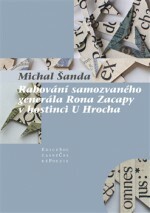 Although he started off as a poet, Michal Šanda is today regarded as one of the few truly postmodern authors; each new book of his is different to the previous one, both in terms of form and in terms of genre or subject matter. 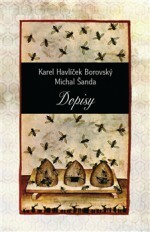 He made his debut with the collection of experimental prose Sto a (One Hundred And, KIC Brno, 1994), followed by the prose poems Ošklivé příběhy z krásných slov (Ugly Stories Using Beautiful Words, Protis, 1996), Dvacet deka ovaru (Twenty Grams of Boiled Pig’s Head, Klokočí, 1998) and Hovězí srdce (Beef Heart, Velarium, 1998). 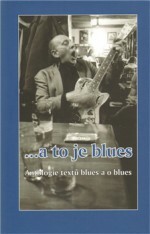 One of Michal Šanda’s first mock-documentary works is Blues 1890–1940 (Petrov, 2000), in which he presented fifty-one encyclopaedic portraits of bluesmen of the Mississippi delta, whose treatment lies somewhere on the border between spoof and fiction. “The whole thing is made even more convincing by the fabricated discographies of the individual artists and also by the bibliography prepared in a similar vein at the end of the book and the author’s profile on the jacket flap. Of course, this at times rather Cimrman-esque device is only intended to create a sort of background for the “poetry from a shoebox” mentioned in the subtitle…,” writes Jan Sobotka in a review of the book in Respekt magazine. 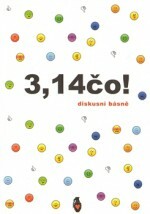 Šanda returned to the world of the imagination, albeit a little more fettered, immediately afterwards in the book Obecní radní Stoklasné Lhoty vydraživší za 37 Kč vycpaného jezevce pro potřeby školního kabinetu (The Alderman of Stoklasná Lhota Auctioning Off a Stuffed Badger for 37 Crowns for the School Staffroom, Petrov, 2001) and subsequently concluded the trilogy with Sudamerická romance (South American Romance, Petrov, 2003). The narrator and fictional author of this prose poem is the Czech colonist, photographer and chronicler Bartolomeo Doubrava z Řakomi u Chudenic. Just as Šanda played with the blues in the first book in the trilogy, here it is the magical realism of Márquez which forms the basis for his storytelling, albeit loosened into an absurdly comic form – including a talking anteater which is kept as a pet by the main couple. 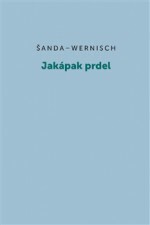 On a second level, this section of Šanda’s work is primarily an onomatopoeic play on language – it is not always clear what the hispanicisms mean, what matters is that they are entertaining. 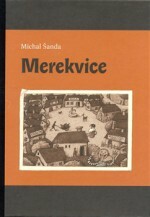 Under the name of the fictional female author Dirty Jane, he brought out the book of poetry Metro (Protis, 2004), which was followed by prose built upon popular forms of the Czech language, Kecanice (Protis, 2006), and the mock-documentary, almost fairytale-like cabinet of curiosities Merekvice (Dybbuk, 2008), the title of the book also being the name of a fictitious village populated by very odd inhabitants. 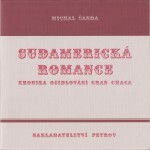 Just as Šanda initially turned to aspects of American culture in his imagination, these were later replaced by notoriously well-known aspects of Czech culture – the author began to “correspond” with 19th-century writer Karel Havlíček Borovský in the book Dopisy (Letters, Dybbuk, 2009), primarily about beekeeping, but also about the need for the existence of literature. This was followed by the poetic work Remington pod kredencí (Remington Beneath the Cupboards, Protis, 2009) and the playful collection of texts “from the drawer” Sebrané spí si (Gathered to Sleep, Petr Štengl, 2010). 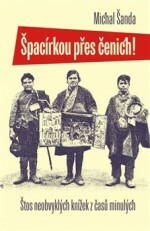 The collection Špacírkou přes čenich (Walking Through the Muzzle!, Paseka, 2013) is a digest of the most interesting material that Šanda discovered in Czech secondhand bookshops; once again these bizarre texts confuse the reader, but this time it is not a hoax, but rather a genuine document. The situation is even more complicated when it comes to the book MUDr. PhDr. 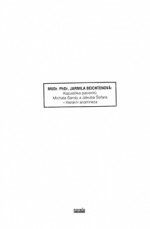 Jarmila Beichtenová: kazuistika pacientů Michala Šandy a Jakuba Šofara – literární anamnéza (Dr Jarmila Beichtenová: A Case Study of the Patients Michal Šanda and Jakub Šofar – Literary Anamnesis, Novela bohemika, 2014). This is about a therapeutic conversation with a fictitious doctor, who has decided to conduct an examination of two men who are writers. One publication which stands apart from these postmodern puzzles is Oskarovy rybářské trofeje (Oskar’s Fishing Trophies, Novela bohemika, 2014), which is actually a declaration of love for fishing and simultaneously an examination of the critical moment when a boy changes into an adolescent, putting a girl before his beloved fish. 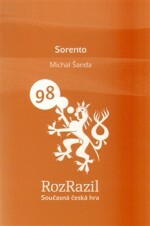 Michal Šanda is the author of three radio plays and one stage play, Sorento (Sorrento, Větrné mlýny, 2012), which is as bizarre as it is disturbing.